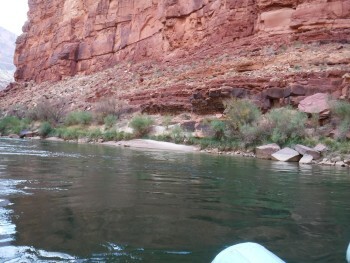 Every time someone asked me how was my rafting trip in the Grand Canyon, it always started with, "It was awesome!". I have nothing bad to say even with my cut knees and eating/breathing/sleeping sand, it all was part of the experience and I would do it all again in a heartbeat. I owe my wonderful experience to the guides. I enjoyed all the history lessons, fun facts, and jokes (love the accent too, Steph). They kept us safe and was very helpful. I definitely have to give a shout out to Brandon and Char, your visiting guides. It did not go unnoticed by my fellow riders (we talk) and myself, all the work they did. Oh yes, and finally we were fed very well. Since this is a review and I am sure you want to always improve. If I have any suggestion, it would be to add to the brochure a difficulty rating on hikes. 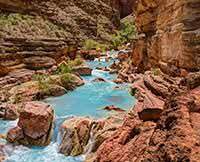 I know that you advertise that this is a river rafting trip so the rapids are rated but the hikes should be just as important because you get a lot of different ages on your trips and it helps the riders determine if the hike is within their ability. Please do not stop the hikes because they are all part of the experience. Overall, I want to say "thank you" for the awesome experience and the awesome memories that I will have with me for the rest of my life! FYI, and in case you can't see (blow it up), my favorite pictures are always going to include my animal friends.